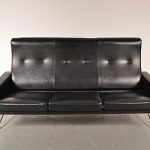 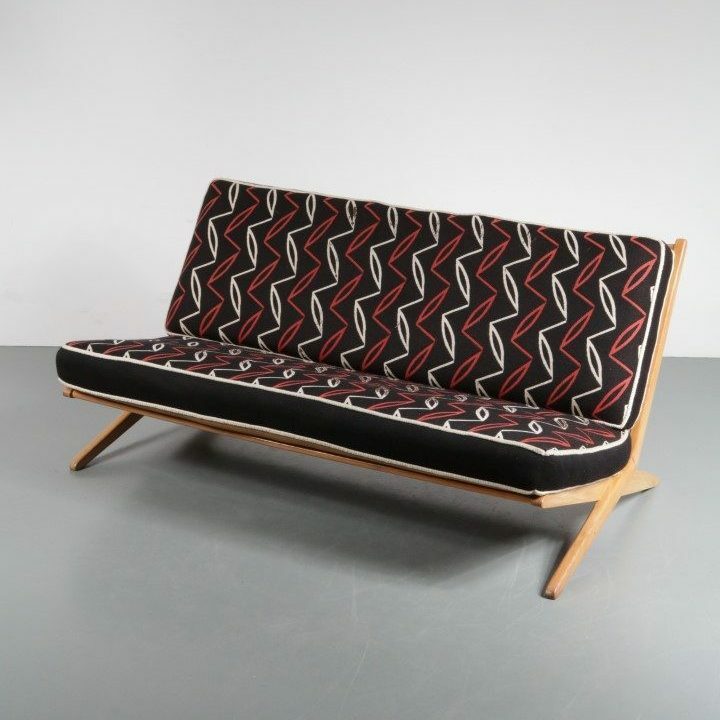 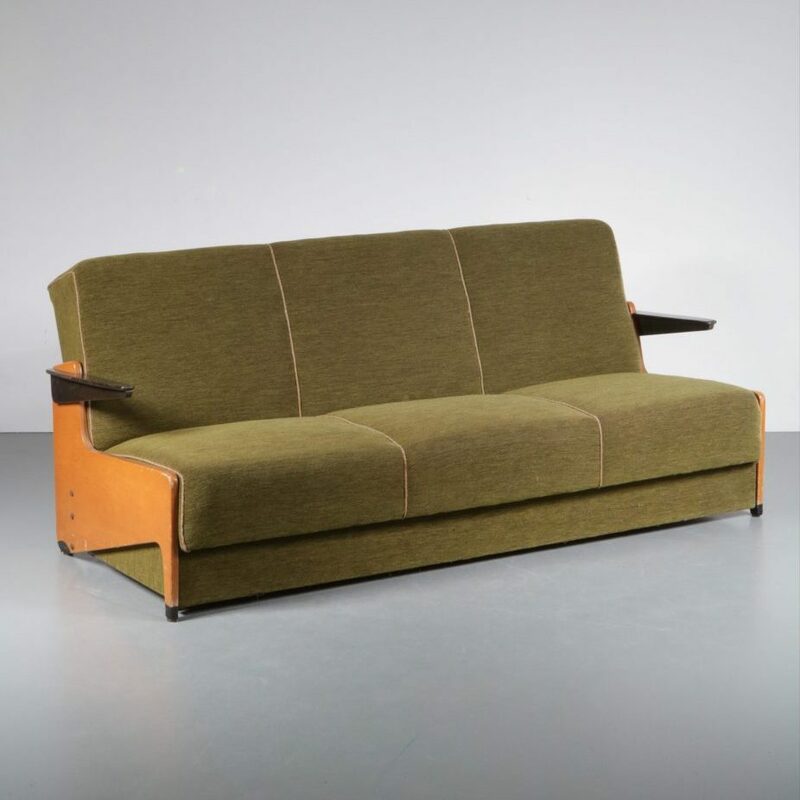 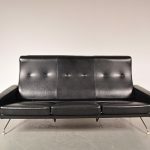 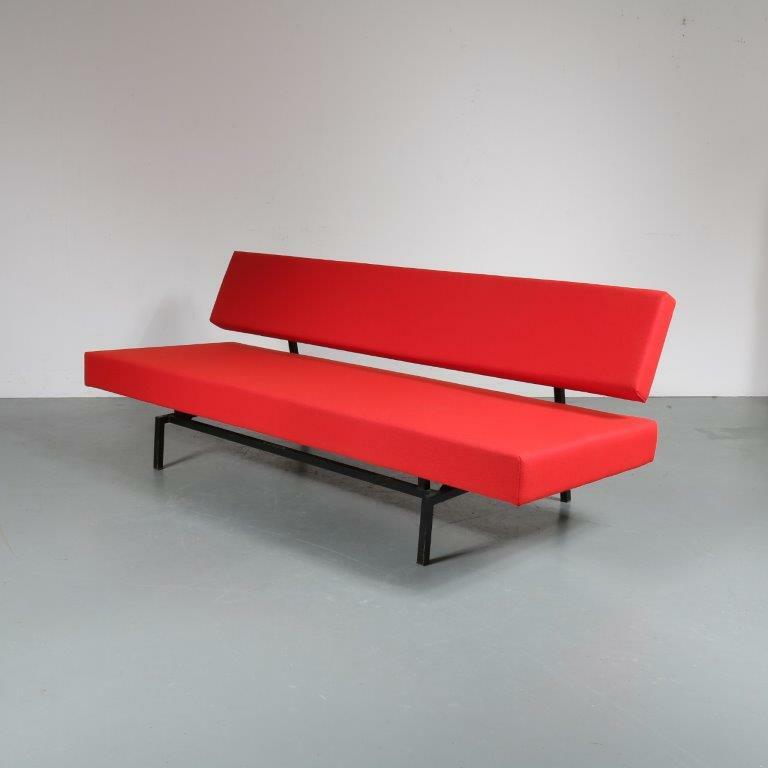 This unique sofa is guaranteed to draw the attention in any interior! 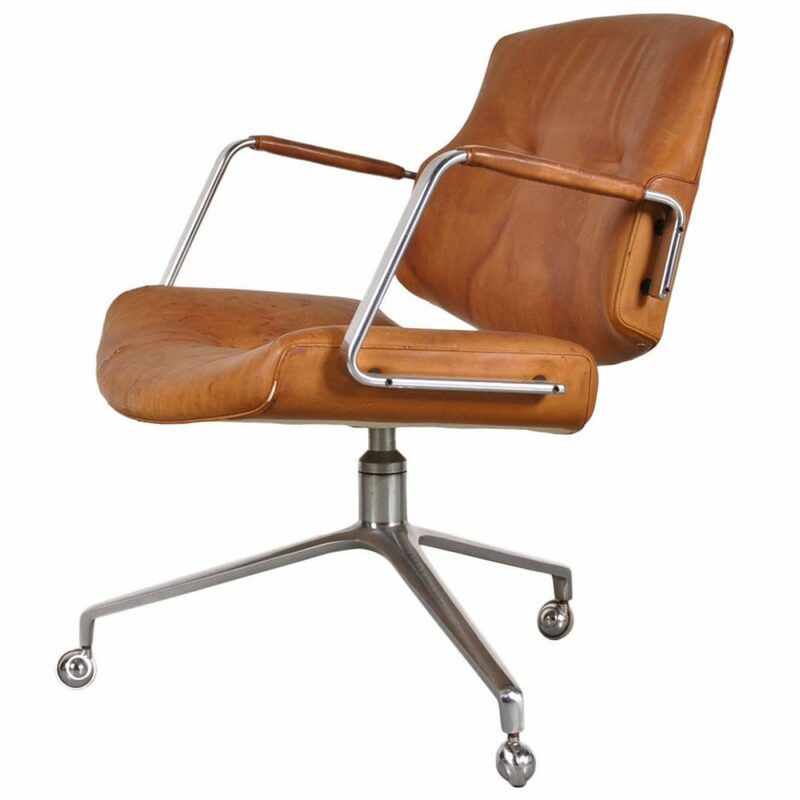 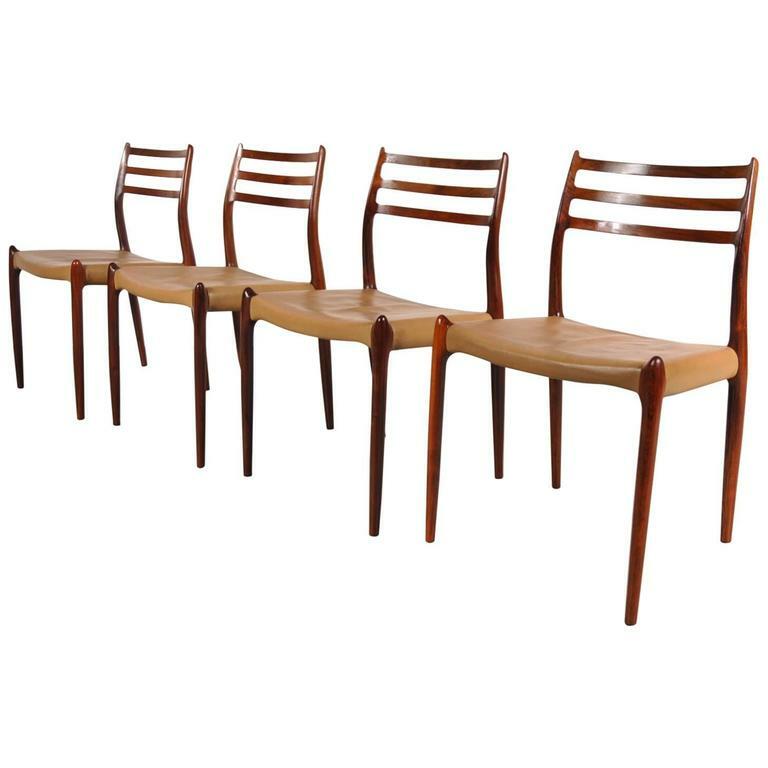 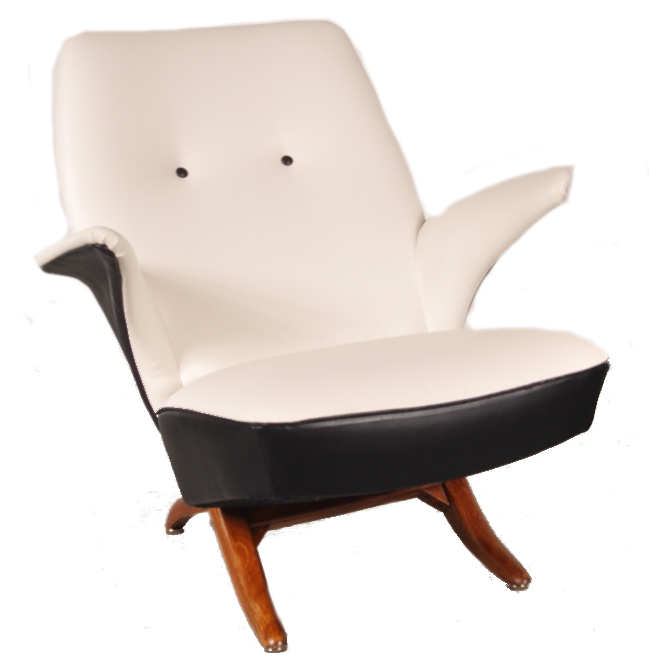 The high backrest creates a very notable appearance, the subtle base adds a sense of luxury to the piece. 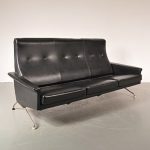 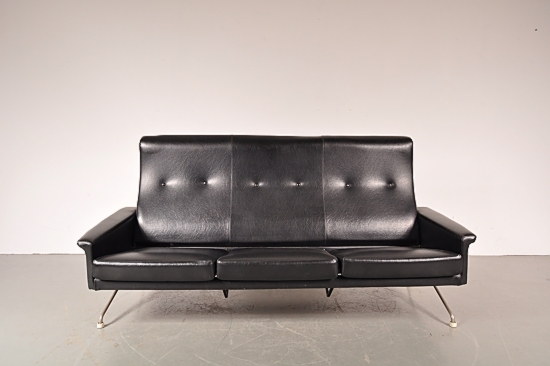 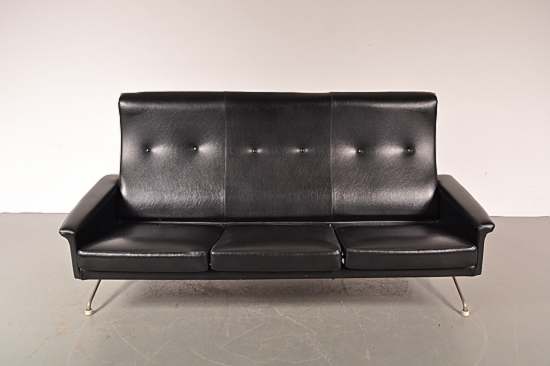 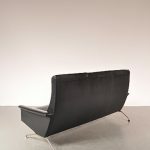 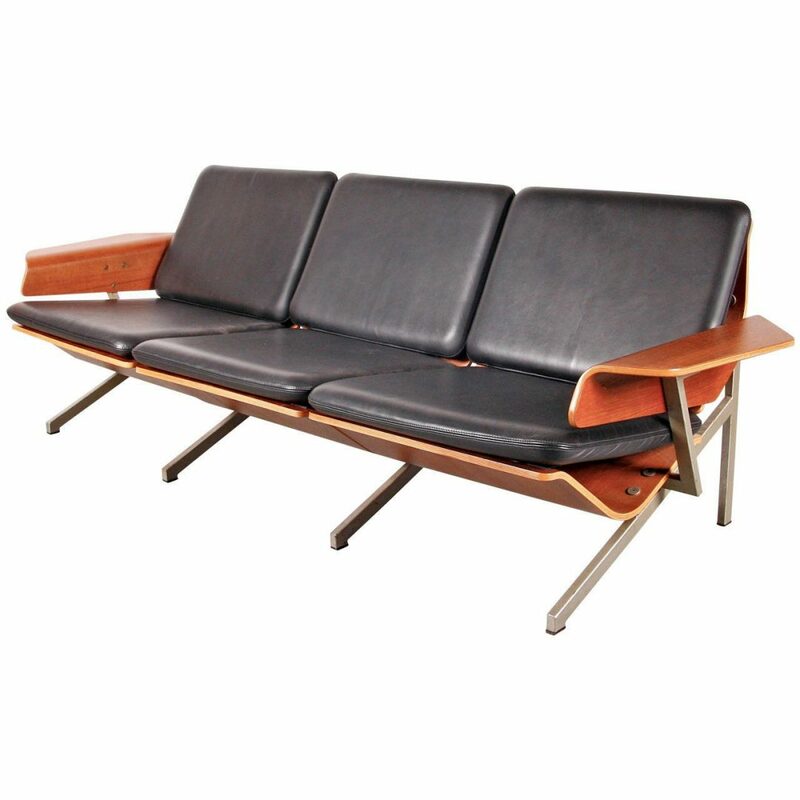 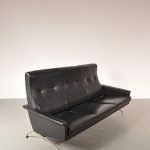 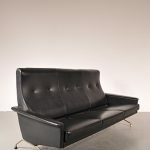 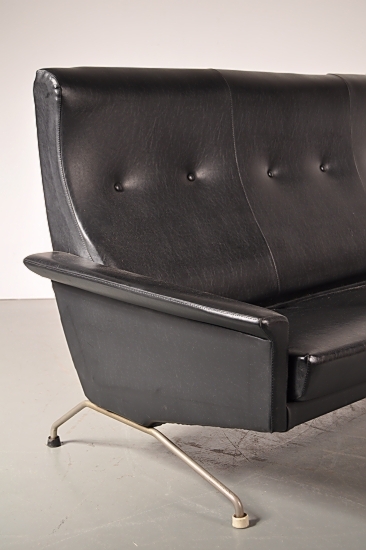 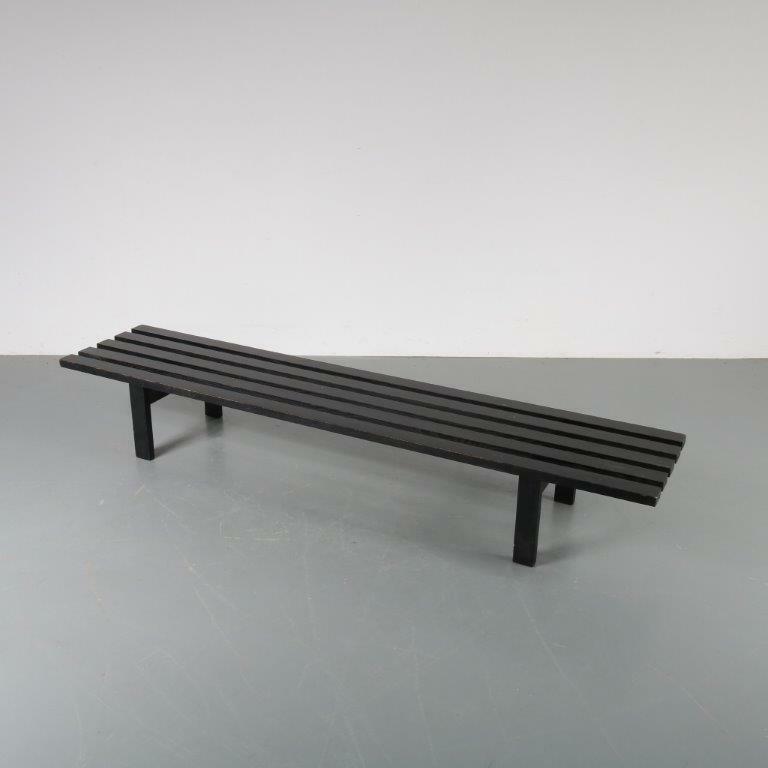 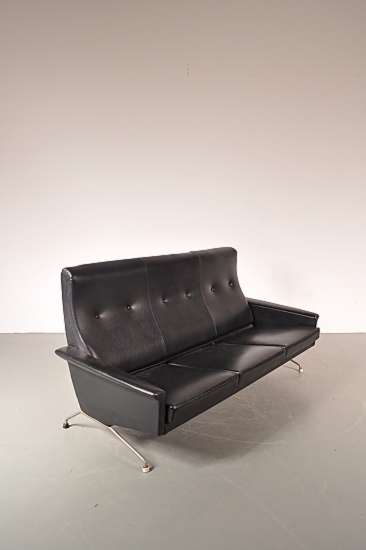 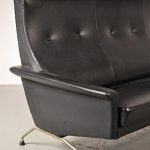 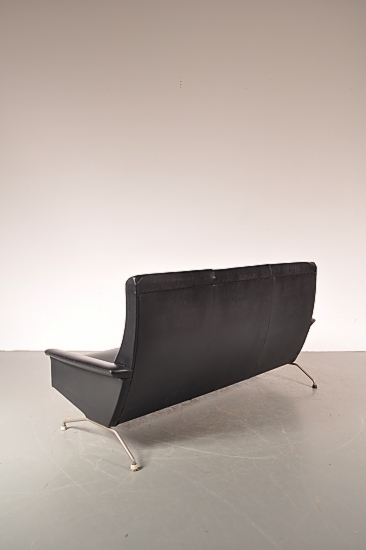 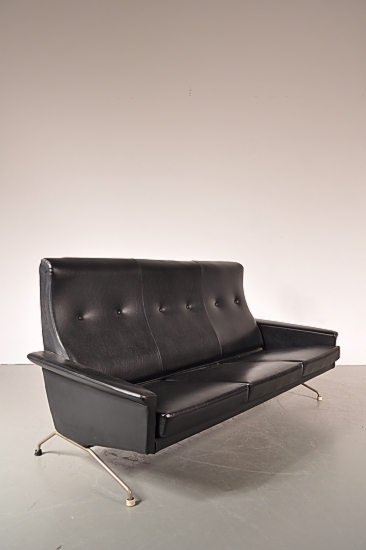 It is upholstered in high quality black skai, preserving a beautiful patina.